This is a prayer guide for parents who want to intentionally and specifically pray for their children. 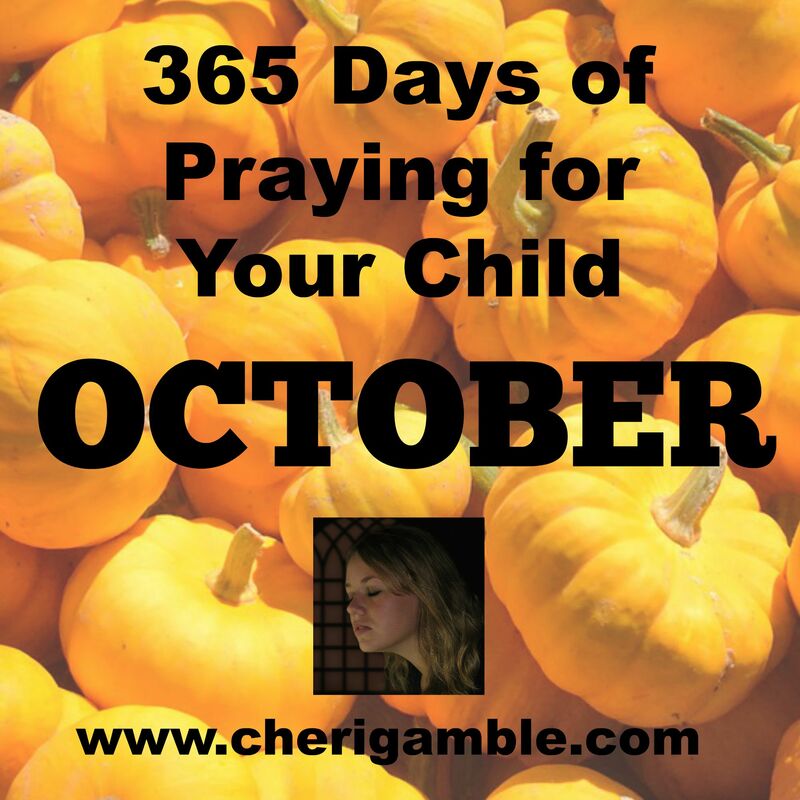 This prayer guide gives ideas for every day in the month of October and is meant to help focus a parent’s prayers. If you find this helpful in your own prayer life, you might want to check out the other prayer calendars available at Ministry Mom. 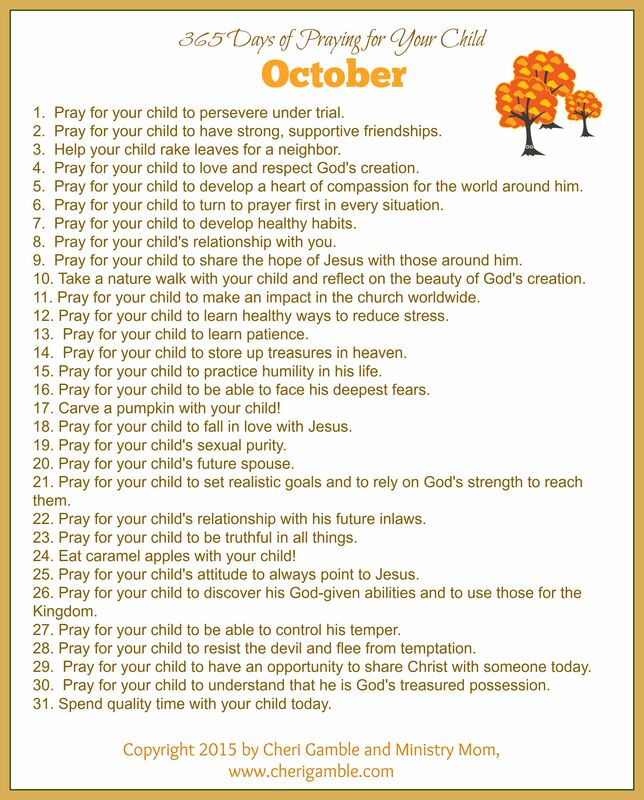 Have a great month — enjoy the beautiful autumn days and be sure to spend time praying for your children every day! Now is the time to start thinking about Christmas presents for those special people in your life. Perhaps you are looking for something a bit more meaningful this year — something that could help your friends and family members grow in their relationship with Jesus. If this is the case, why don’t you try a devotional? If you are looking for one that all moms can relate to, try Banana Bread & Mismatched Socks: 100 Devotional Thoughts From My Every Day Life. And, if you have boys, My Brother’s Feet Smell as Bad as Noah’s Ark (and 30 other devotions that stink!) would make a fantastic gift! Have your gifts make a difference this year!